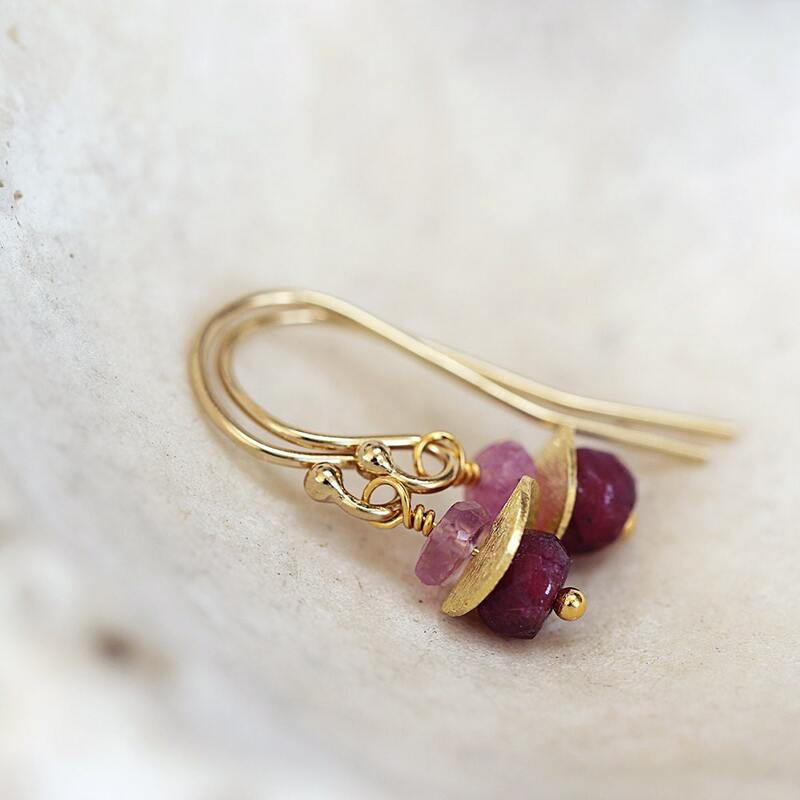 Gorgeous little gold and Ruby earrings to add instant beauty and femininity. 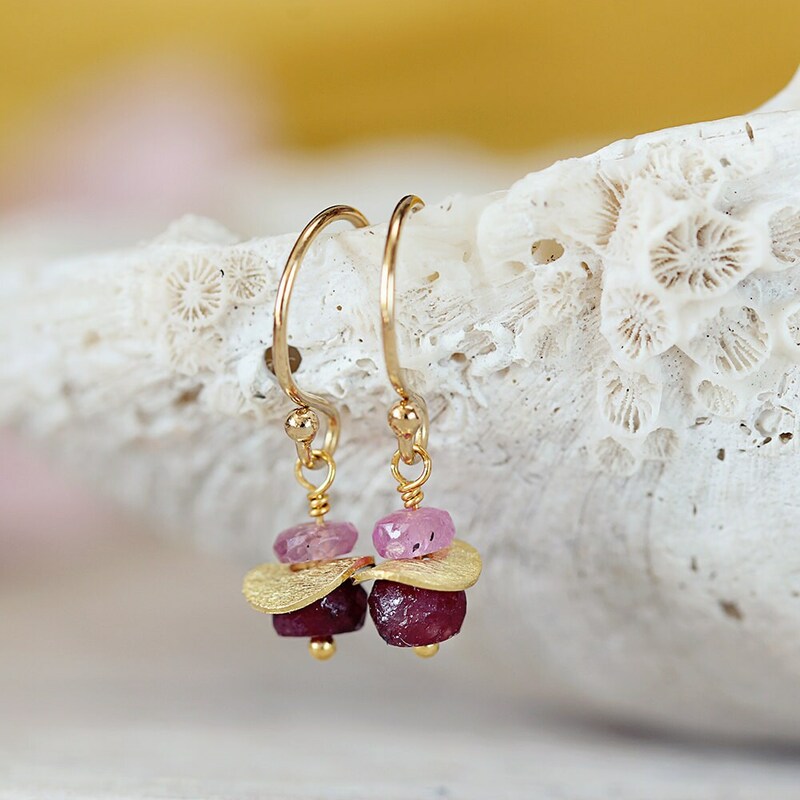 Featuring genuine, quality, hand cut, Ruby precious stones on 14k gold ear wires. Delicate and enchanting - these dainty little precious stone earrings are sure to lift your mood and confidence whenever you wear them. Perfect for the coming season, they look great with anything from the structured and tailored outfits of the city girl to the fluid bohemian style of the free spirited woman or the bikini clad beach babe! The lovely exotic colours will make you feel like you're on holday wherever you are. 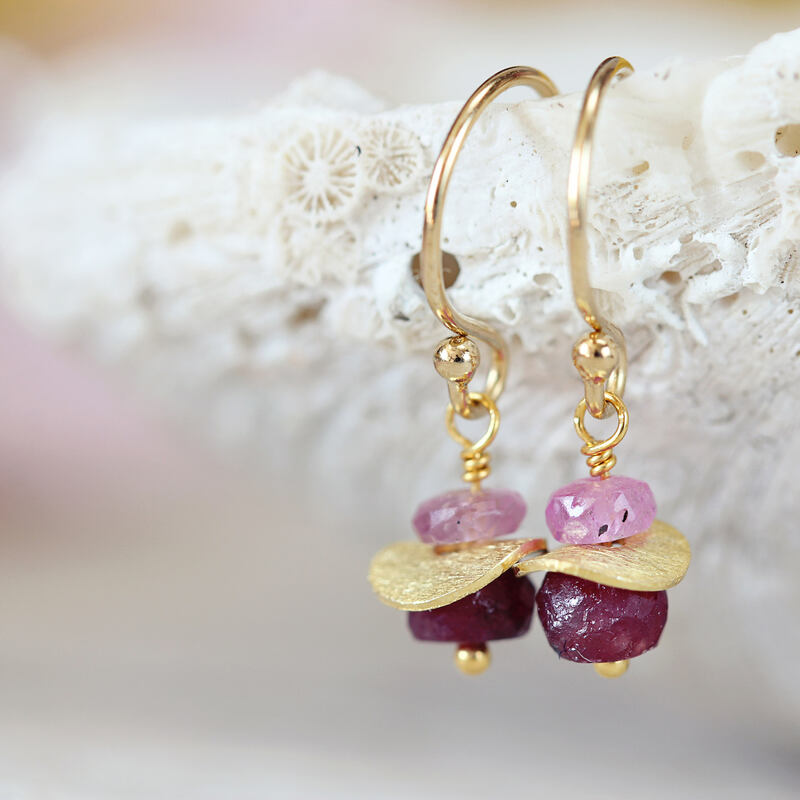 A paler Ruby stone (also known as a 'pink sapphire') sits above a deeper one, with a gold vermeil bead nestled between giving a luminous gleam. These are dainty little earrings measuring just 21mm from top to tail. 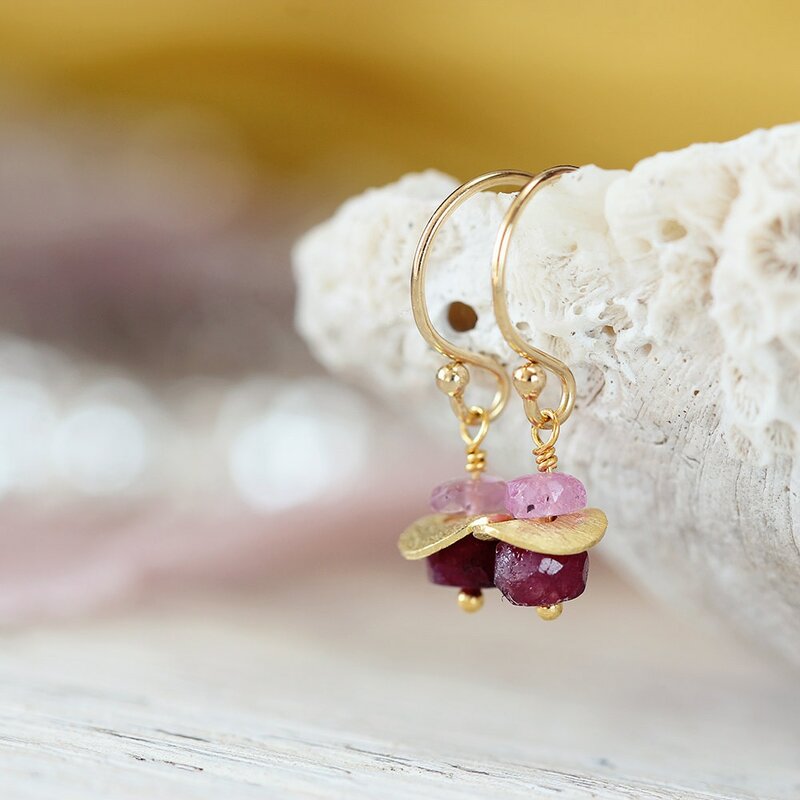 Because the Ruby is said to be a stone of great courage, inner strength and self-confidence, these earrings would make a thoughtful and empowering gift for a loved-one, family, friend, or co-worker, especially for the woman, or girl, who loves nature, jewellery, gemstones, and who would enjoy the benefits that the Ruby stone offers. Also available in sterling silver - please see link further below. * Ruby and sapphire gemstones measure approx 3 - 4mm. * Total length from top of ear hook approx 21mm. 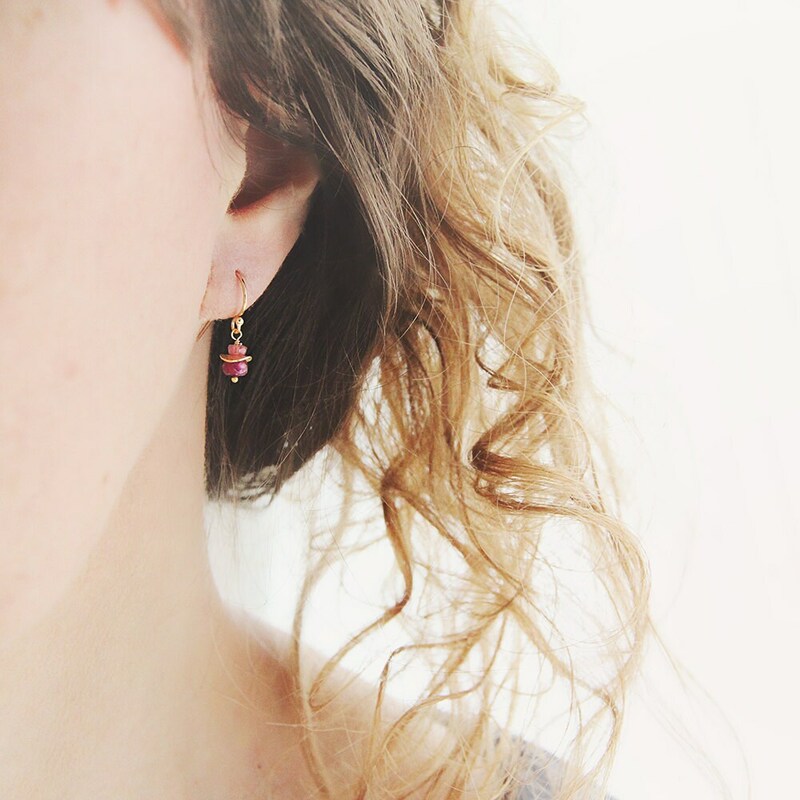 Ces boucles sont magnifiques et très originales. J'aime le montage et elles sont réalisées avec soin. Je recommande.